Your very own Light Cycle. This is the illuminated, street-legal motorcycle inspired by the computer animated cycle from the 2010 film Tron: Legacy, and for $55,000 it can be yours. Designed and built by Hammacher Schlemmer for casual cruising and slow ride-bys at shows, it is made from a steel frame covered by a fiberglass cowling that replicates the sleek look of its computer-generated imagery counterpart. 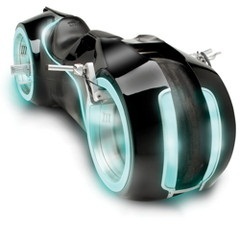 Electroluminescent strips built into the tire cowlings, wheel rims, and body illuminate the cycle. It is powered by a fuel-injected Suzuki 996cc, 4-stroke engine and riders lay at a near-horizontal position astride the padded leather seat, with feet on foot pegs that control its 6-speed constant mesh manual transmission and hands on the handlebars for throttle and braking. The hubless wheels are former truck tires built up then custom-shaped to fit onto one of two counter-rotating rims spinning within each other, providing the broad-tired authenticity of the computer cycles from the movie. “Toy Story 3” picked up two awards at the Oscars on Sunday, for Best Animated feature and Best Song for Randy Newman’s We Belong Together. “Toy Story 3,” the most popular film at the box office last year with worldwide sales of $1.1 billion, marked the third film in a series about a group of action figures and toy-chest favorites who come to life when humans are not looking. “Thank you to audiences all over the world who came out in historic numbers, and embraced a movie about talking toys that hopefully had something very human to say,” said the film’s director, Lee Unkrich. “Toy Story 3” was also nominated in the best picture category but lost out to “The King’s Speech”. The crew is headed by the bold astronaut Buzz Lightyear, voiced by Tim Allen, and the more diffident Woody the cowboy, voiced by Tom Hanks. The new film saw the beloved toys suffer a grim fate in a daycare center. Mattel mainstays Barbie and Ken made their debuts. Pixar, a unit of Walt Disney Co, won this category last year with “Up,” in 2009 with “WALL-E,” and in 2008 with “Ratatouille.” It also won in 2004 with “Finding Nemo” and in 2005 with “The Incredibles.” The award was instituted in 2002, six years after Pixar chief John Lasseter was given a special Oscar for his team’s work on the first “Toy Story” film. At an animation symposium last week, Unkrich said despite Pixar’s great success over the years, the company’s upstart attitude has not changed much, from when he started there as an editor on the original “Toy Story” released in 1995. “You would think we know what we’re doing at this point, but I don’t think that anyone (at the company) would say that we do,” he said. 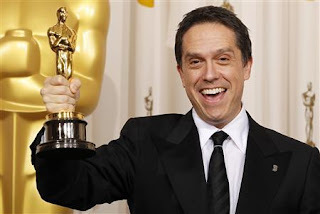 Aspects of “Toy Story 3” were inspired by Unkrich’s own life, such as the death of his grandmother from cancer. Unkrich said he tried to infuse the emotion from the last time he saw his grandmother into a scene at the end of the film where Andy, a young man who grew up with the toys, says goodbye to the playthings before heading off to college. Euro Disney S.C.A. 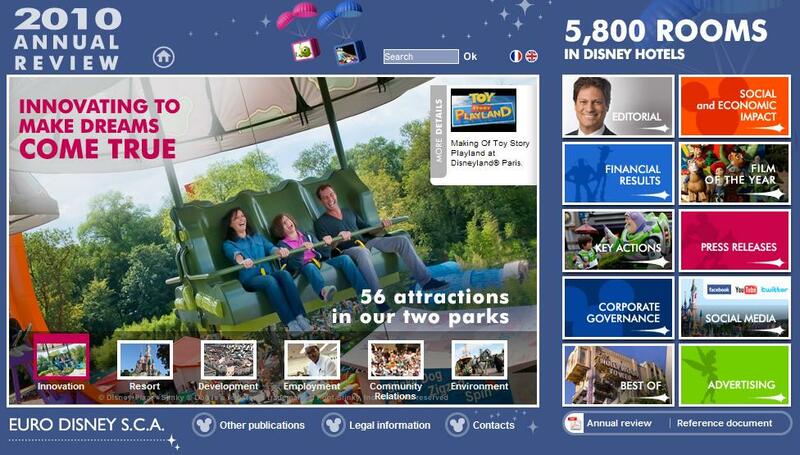 has launched a dedicated website for it’s 2010 Annual Review of Disneyland Paris. It you pop over to http://2010annualreport.disneylandparis.com/ you will discover an interview with Euro Disney President Philippe Gas and multiple videos highlighting Disneyland Paris. 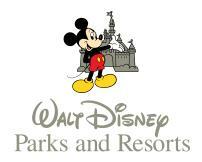 Also included are animated presentations of all the 2010 figures for the resort. You will also be able to download the activity report in pdf format. 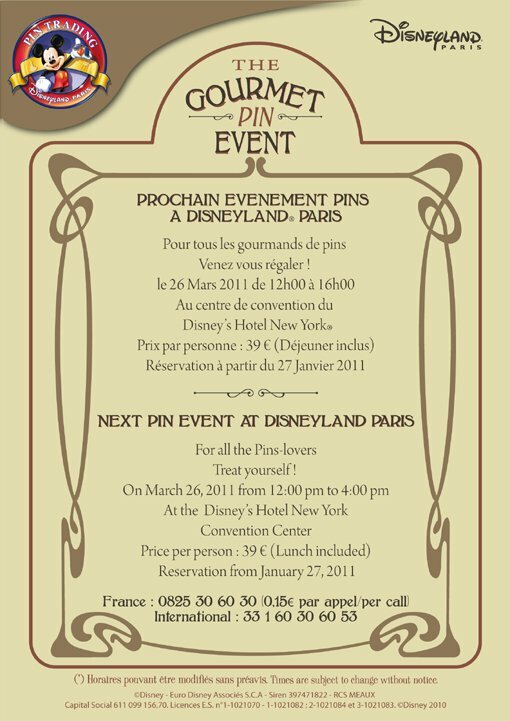 Disneyland Paris will be hosting the Gourmet Pin Event on Saturday 26th March 2011 between 12 noon and 4pm at Disney’s Hotel New York Convention Centre. Tickets cost €39 per person and includes lunch. To book telephone 00 33 1 60 30 60 53. Following the refurbishment of the drawbridge last year work has now started on Le Château de la Belle au Bois Dormant. 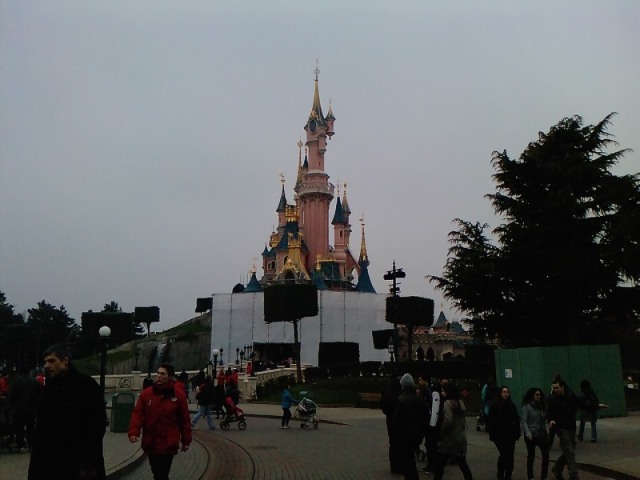 It has been reported that the refurbishment on the Sleeping Beauty Castle at Disneyland Paris is to last until September. An Audience With Mickey Mouse for the crew of Martha the Fire Engine. Follow That Fire Engine: is a global road trip staring a red Fire Engine which is being driven from London all the way around the world to raise money for charity. This week after driving over 23,000 miles, through 25 countries, the crew of Martha the Fire Engine made it to Disneyland in California! The crew were treated like celebrities and Martha had her own parking spot and was dressed up with Disney Balloons. Two Disney employees (Reece and Kris) escorted the crew around the park where they had back stage passes to all the rides. “For a morning it was like being celebrities, not just passing queues but going in the back entrances and having rides to ourselves!! We crew of Martha met the Disney Fire Department, Mary Poppins and screamed far too much on the rides”. Follow That Fire Engine is dedicated to the memory of Garth Moore, who passed away on 18th July 2009 at the age of 63, after a brave battle with lung cancer, and is rasing money for Macmillan Cancer Support, The Fire Fighters Charity and The Roy Castle Lung Cancer Foundation. You can follow the road trip at http://www.followthatfireengine.com/. Disneyland Paris and Walt Disney World will this week launch their first joint marketing campaign entitled ‘When Are You Going To Tell Them’, clearly communicating the powerful reaction and real emotions experienced by children when they are told they are going to visit a Disney park. The first wave of the UK campaign starts on Sunday 13th February, when for two weeks the campaign will feature heavily across TV and online, including same-break long format and short format TV adverts on terrestrial and satellite channels as well as homepage takeovers across all the major interent portals. They will then break out into separate but simultaneous campaigns for Disneyland Paris and Walt Disney World for five and three weeks respectively with combined bill board and roadside posters in Greater London, outdoor escalator panels, online and print. This represents a 50 per cent uplift in visibility for Disney campaigns across the period. Following a recent contest inviting families to upload videos of their own ‘magical Disney reveal moments’ to appear in the advertising creative Disneyland Paris will unveil the winning family featured in May, with a teaser trail on ITV. This coincides with the launch of the Magical Moments Festival, where guests are invited to create their own magical moments in the park and experience new opportunities to meet and interact with their beloved characters, visit photo locations and interactive happenings. Whilst in Walt Disney World Resort in Florida, guests can become part of the magic. In a dramatic new projection show filled with special effects and magic, Cinderella Castle transforms into a shimmering canvas for images of Walt Disney World guests and the memories they made that day at Magic Kingdom. Francois Banon, Vice President Communications, Disneyland Paris said: “When we discovered the importance of creating lasting memories, that come with telling children that a trip to Disneyland Paris or Walt Disney World is on the cards, we realised that the best way to spread some Disney sparkle is by encouraging guests to share their own stories. The adverts show the intense culmination of parents planning where, when and how to tell their kids…and the reactions the ‘big reveal’ triggers. We hope that the result is an emotional, enchanting and exciting celebration of family time and that parents from across the UK realise that they can also be part of the Disney ‘magic’. The Disneyland Paris Magical Moments Festival will launch on 6th April 2011 to March 2012 and will see all the Disney favourites making a magical appearance. From Mickey & friends, Disney Princesses, Toy Story, Pirates of the Caribbean, Finding Nemo… Disneyland Paris will offer you an unforgettable collection of Disney moments with Disney characters you cannot miss!